We provide almost all marine contractors in Broward, Miami-Dade, Monroe and Palm Beach Counties with our prestressed concrete piling. We can do so because of our wide variety of piling already in stock. We provide 10” x 10”, 12” x 12”, 14” x 14” in diameter with lengths from 8’ to 40’. 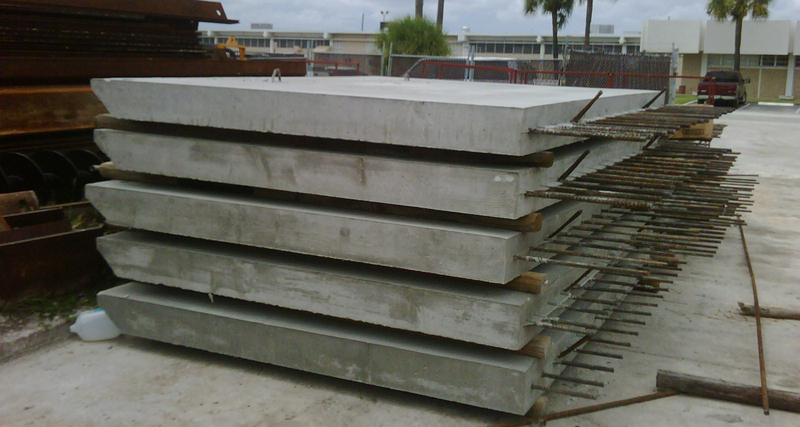 Special orders of prestressed concrete piling and all types of seawall panels are no problem. We can accommodate prestressed concrete piling to a maximum length of 70’. In addition to supplying local businesses our piles have been installed throughout the Bahamas, Guyana, Cayman Islands, Trinidad and different states within the US.